K 7 Premium 11686060 https://www.kaercher.com/ae/home-garden/pressure-washers/k-7-premium-11686060.html Suitable for removing stubborn dirt, e.g. on paths, in swimming pools, on bicycles or vehicles - the "K7 Premium" with water-cooled motor is tough on dirt. With hose reel for ease of use. Suitable for removing stubborn dirt, e.g. on paths, in swimming pools, on bicycles or vehicles - the "K7 Premium" with water-cooled motor is tough on dirt. With hose reel for ease of use. 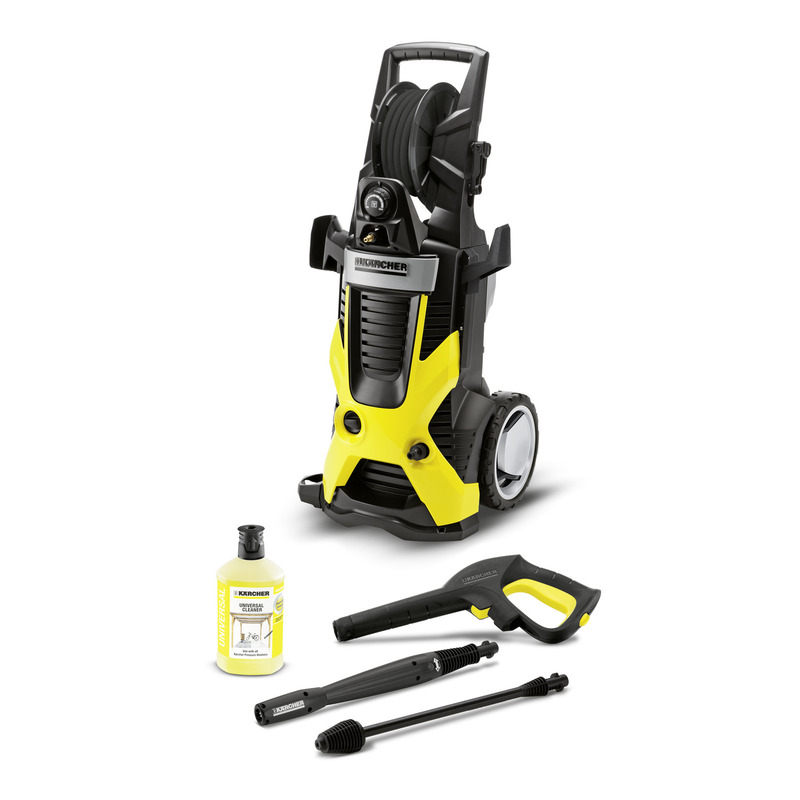 The "K7 Premium" includes numerous features such as water-cooled motor, hose reel for convenient use and storage, Quick Connect gun 10 m high-pressure rubber hose and water filter for pump protection. Other features include Vario Power spray lance (VPS) and dirt blaster. The pressure can be easily adjusted by simply twisting the VPS to suit the cleaning task. The dirt blaster with rotating pencil jet efficiently removes stubborn dirt. Also included: P&C universal cleaner. Easily removes stubborn dirt, e.g. on paths, in swimming pools, on bicycles or vehicles. The state-of-the-art water-cooled motor will impress you with its high level of performance.